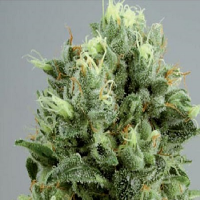 CBD 1:1 Silver Lime Haze Feminized is a fast photoperiod feminized variety with a 1:1 ratio of CBD:THC in the dry buds. 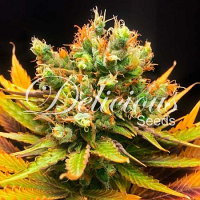 CBD 1:1 Silver Lime Haze Feminized Cannabis Seeds by Seed Stockers Seeds: CBD 1:1 Silver Lime Haze Feminized is a fast photoperiod feminized variety with a 1:1 ratio of CBD:THC in the dry buds. The genetics contain recessive auto genes meaning that this variety grows with unusual vigor and speed, taking around 8 weeks to bloom. Indoors this is a high yielding variety, especially when given 5 weeks+ of vegetive growth before bloom. Expect CBD levels of around 10-11% with this variety, with similar (or slightly lower) levels of THC. 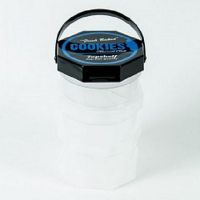 Medical users will note a strong body stone, but the psychoactive effects are lower than typical Seed Stocker varieties due to THC levels of around 10%. This variety has an appealing citrus taste and aroma with a great Haze scent, although this is primarily a medical variety it looks and smells like a premium Haze hybrid. 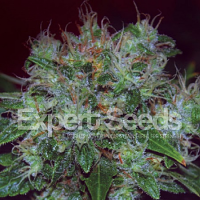 This is a sativa dominant variety with above average yields and fast harvests. She also grows well outdoors, and is often ready to harvest around late September. 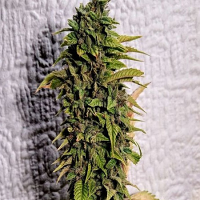 A great quality, easy to grow medical variety which is an excellent choice for medical growers wanting a CBD rich harvest with Haze genetics and aroma.